In a generation of emojis and emoticons, engagement -specifically in social media or online communities- has been associated with hitting the “like” button. The short, iconic replies have become a norm and have set the tone for how people are engaging with each other online. Yet there is more to engagement than the casual smileys and thumbs up buttons. Engagement is what drives rich online communities to action, particular in areas like learning and shared practice. It is the emotional involvement and a sense of belonging that members of the online communities share. Engagement is also symbolized by the commitment that members show and share with each other, both on and offline. Without human interaction in online learning programs, for instance, we run the risk of low retention, poor completion rates, higher drop-outs and limited outcomes. Creating an engaged online learning environment takes more than just encouraging members to hit the like button. So how do we promote engagement particularly for online learning communities? the key to a successful product or service is to address product-market fit. In online learning communities, not only do we look at what we are creating and why we are doing it, we also need to be specific with the WHO. Who are we really doing all of this for? Create a persona to identify their pains, gains and needs. Plot their life journey and identify touchpoints as to when you can reach out to them and how the online learning community can serve them. Having a clear profile of your ideal community member can help you identify their preferences. Better yet, it will also help you identify what motivates and what discourages them from taking part in online learning. 2. Dig deeper into the HOW’s and WHAT’s. Online learning presents new challenges when compared to traditional classrooms. Knowing the HOW can greatly help in identifying what engagement strategies are worth pursuing. How are your community members most likely to respond to the online activities or materials you are providing? What are their preferred forms of delivery? How long should your activities and exercises be? How frequent should you serve them content, activities, practices or assignments? What routines, rituals or practices can you do to get more engagement? How can you assess their involvement? How can you prevent feelings of frustration or isolation for your learners? How can you sustain their interest and retain them in your online learning community? 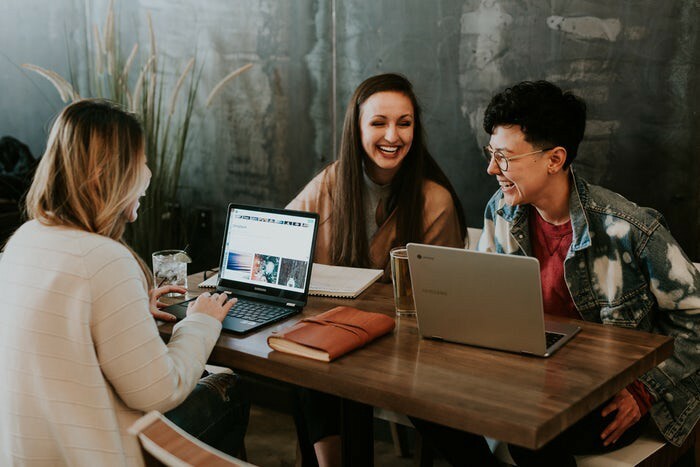 By envisioning the answers to these questions, it can help you start a Community Engagement Plan that will drive more connection and results in your online learning community. 3. Be clear with your results. Engagement is all about action. It’s having a concrete CTA (Call To Action) that you want your online learning community to make. Identify the end result that you want to achieve. Your online learning community exists for a purpose, make that purpose visible. Our online learning community is intended for …. We provide…(what are the services, perks, benefits that your members can get) to our members. In the online learning community people… (how- identify routines, rituals, processes or activities that members do to engage with each other). 4. Lastly, look for best practices. There are multiple online learning communities that you can be part of (if you are not already part of them). Check out what they are doing in terms of engagement. File all these ideas in as Best Practices in Engaging Communities. Use this list as possible activities to try in your online learning community. What strategies have you deployed have you tried to engage people as they learn from you, in person or online? After being diagnosed with breast cancer in 2014, my life pivoted and I went in search of my life purpose. As a content and community builder with a solid background and education with children and adults, I find it fascinating to explore how to create impact with our presence and my biggest question at that time was "what am I contributing to the world?" After realizing the red thread in what I do, be it providing training and support on various areas related to curriculum design, project planning and personal development or managing online communities, I made it my life's mission to share the power of connections, collaborations and living a "self-fullcentric" life. One of my strengths is the knack at looking at the big picture and making it visible into actionable steps which is the core of our book " Make Great Ideas Happen: The 90 Day Action Planner."